Upholstered accent chairs with bold wooden hand details, available in taupe, can be custom made in various colors. 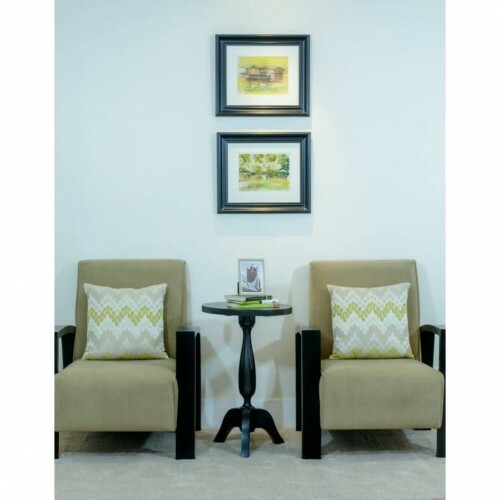 This seat is sold as a pair with an additional option of the wooden accent table as seen in the image. 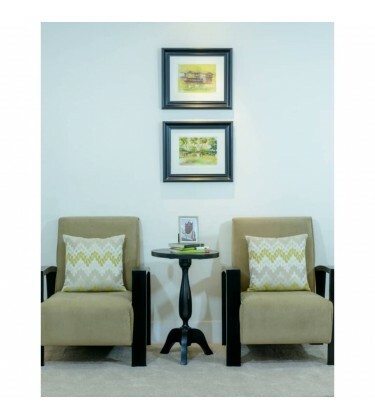 The seats comes with 2 complimentary cushions, the Zig Zag green cushion. This look is ideal in living rooms, anterooms and office receptions.